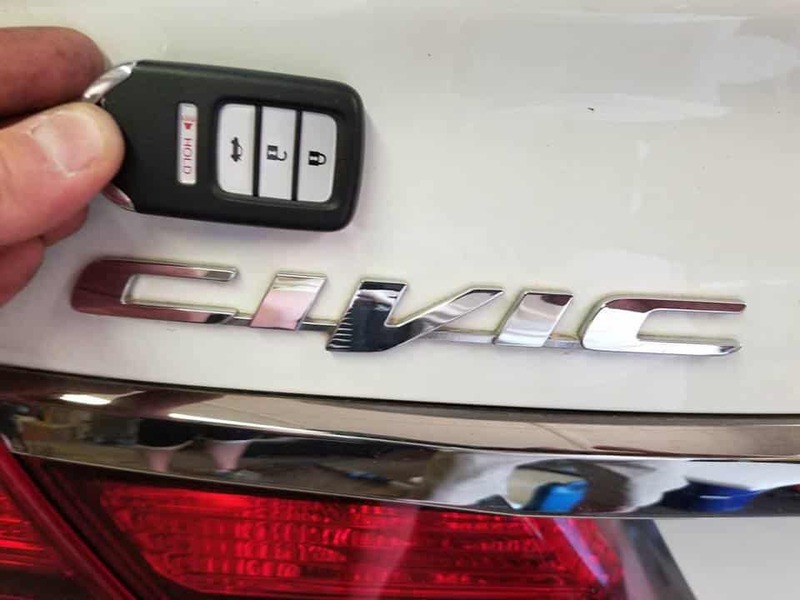 We programmed a new push to start proximity remote for a 2015 Honda Civic in Talmo, Ga. If you need your car’s transponder key needs to be replaced or duplicated, Danny’s Lock and Key in Northeast, Georgia is the best place to call. Our full-service mobile locksmith can make and program you an extra set of transponder keys quickly and easily. We can also replace the batteries in your key fob. If you need a car remote or key fob programmed, we’ve got your back. Simply give us a call to make an appointment. Modern car keys are more complicated than ever. In newer makes and models, traditional car keys have been replaced altogether with high-tech transponder keys. Transponder keys use an embedded microchip to receive and send signals to your car, which allows you to unlock your doors and even start the engine remotely. If your transponder key gets damaged or becomes faulty, you won’t be able to start the engine, or even open the door in some cases. You could have your vehicle towed to your dealership, but that can be costly. Contacting our full-service mobile locksmith is a faster and more affordable solution. We can create a new transponder key that works with your vehicle right from our mobile unit. If you are having problems with your transponder key, and need help getting back into your vehicle please reach out to us. Our full-service mobile locksmith in on call 24 hours a day and is ready to meet you wherever you are to provide fast, friendly, and convenient service.